Lithonia Lighting UC8 Series 1-Light direct-wire cabinet light in white color, has acrylic lens that ensures even light distribution. 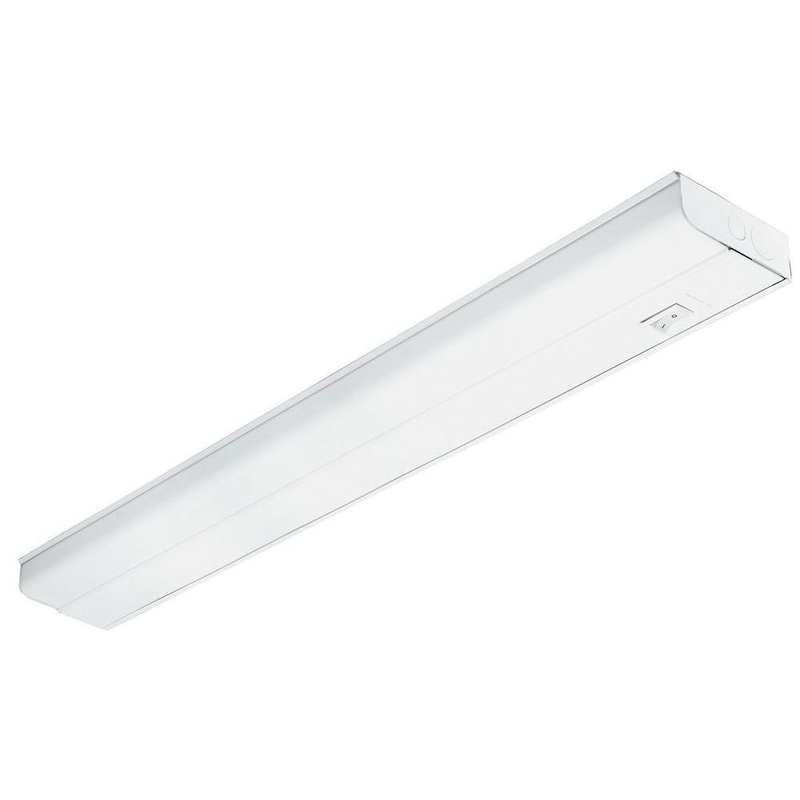 Light uses one 25-Watt T8 lamp that has voltage rating of 120-Volts. This light measures 36-3/8-Inch x 4-Inch x 1-3/8-Inch. It comes with separate snap ON/OFF service tray for easy maintenance. It is ideal for kitchens, work areas, bookcases and display cabinets. Light is cUL listed.